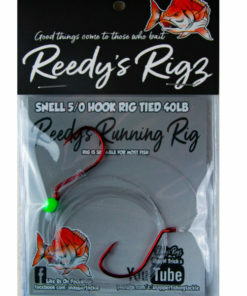 Snapper Snatchers Rigs are pre-tied fishing rigs. 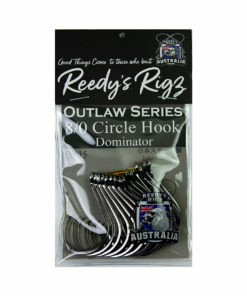 Our Range come in Different Hook sizes and Lure colours, but they all use circle hooks, Hand tied in a paternoster arrangement which the fishing ling strength can vary from 20lb or 30lb used for Whiting, Bream or Australian Salmon to as heavy as 60lb or 80lb leader for the bigger fish like snapper or Mulloway . 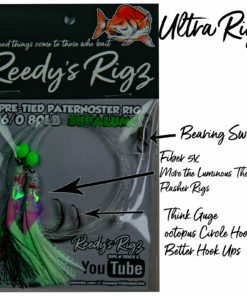 Snapper snatchers of the fishing rig is Lumo infused flasher material attached to the top of the circle hooks and a Lumo bead that sits above each hook .The Rig is like a saibki rig but in a bigger scale the movement though jigging or the natural rocking of the boat helps lure in the fish . 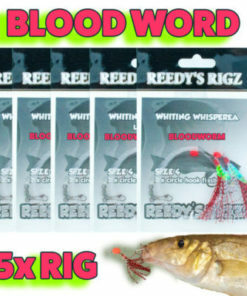 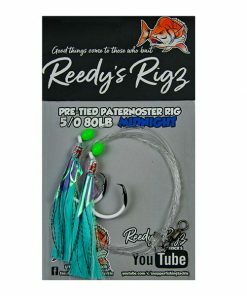 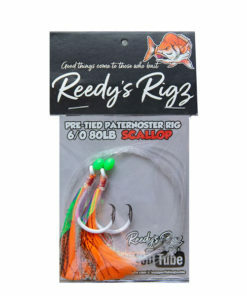 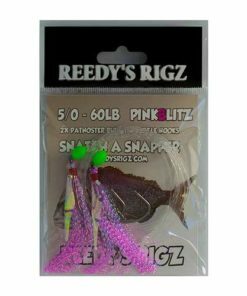 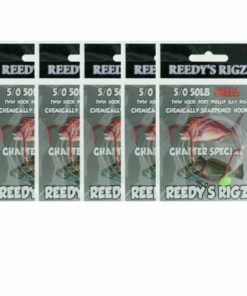 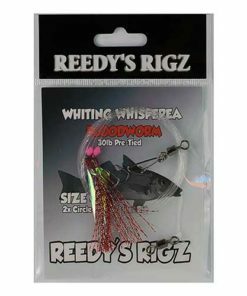 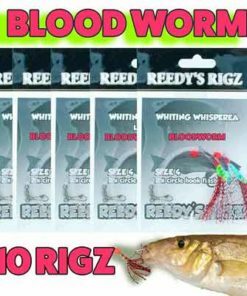 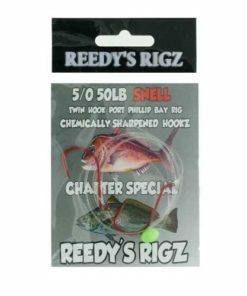 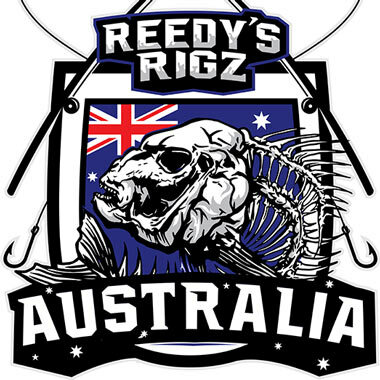 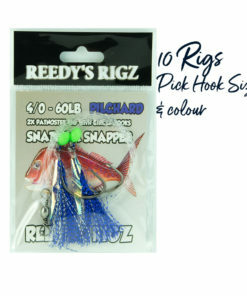 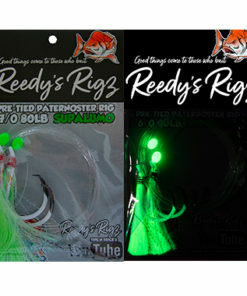 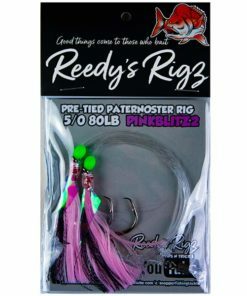 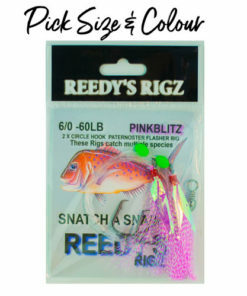 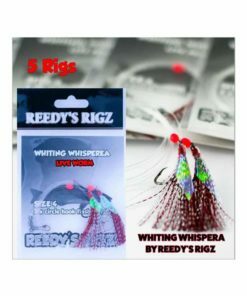 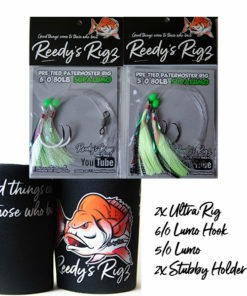 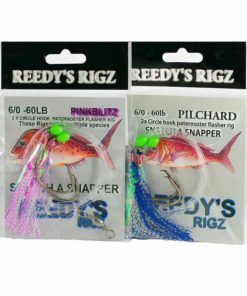 Reedy’s rigs can be used for surf fishing rig or fished for whiting in the smaller model Size #4. 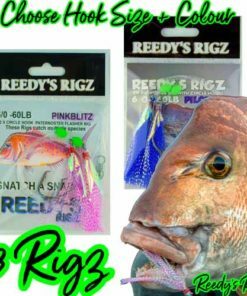 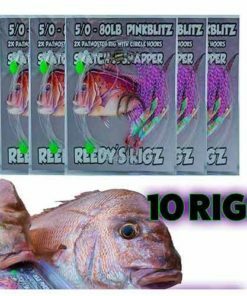 Snapper Rigs in 5/0 are , very effective in the surf. 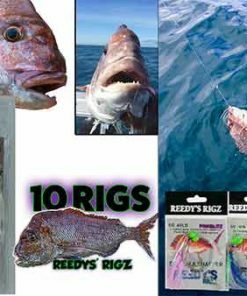 I have caught a number of Australian salmon from the surf on The Paternoster Snapper Rig , and they are fished regularly to catch other species like gummy sharks & Tailor . 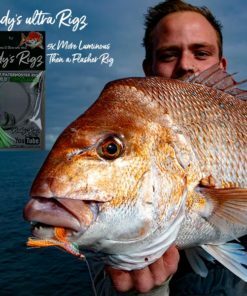 This is one of Best uses for Snapper rigs in Australian & New Zealand waters. 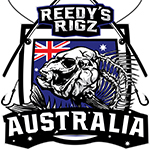 They fish Very well not just for snapper but a range of fish like whiting, Mulloway , Australian Salmon the list is basically endless what they catch. 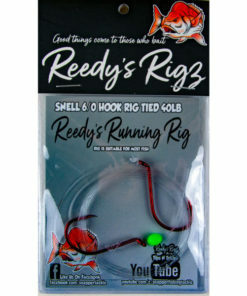 if you’re fishing from the pier or out of a boat, it is best to use bait on your flasher rig. 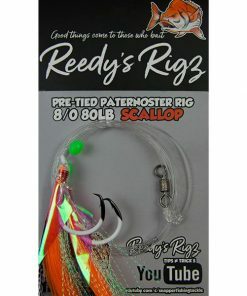 Strip of squid is a good bet , especially in the surf. 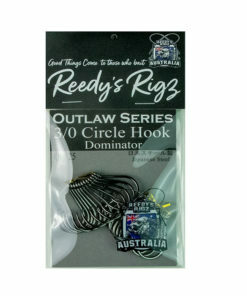 Pass the hook through the strip just once, towards one end of the bait, just as you would for normal circle hooks.